These are our programs that we can’t squeeze into just one category! 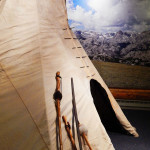 A comparative course highlighting the dynamic ways in which Native peoples and Pioneers lived in and used the resources of Jackson Hole and the Greater Yellowstone Region. Our most broad and flexible lesson which can incorporate any aspect of local culture and environment based on your curricula needs. K-LS1-1. (pg. 13) Use observations to describe patterns of what plants and animals (including humans) need to survive. K-ESS2-2. (pg. 15) Construct an argument supported by evidence for how plants and animals (including humans) can change the environment to meet their needs. K-ESS3-1. (pg. 16) Use a model to represent the relationship between the needs of different plants and animals (including humans) and the places they live. K-2-ETS1-1. (pg. 19) Ask questions, make observations, and gather information about a situation people want to change to define a simple problem that can be solved through the development of a new or improved object or tool. 2-ESS2-1. (pg. 44) Compare multiple solutions designed to slow or prevent wind or water from changing the shape of the land. 2-ESS2-3. (pg. 46) Obtain information to identify where water is found on Earth and that it can be solid, liquid, or gas. 3-ESS2-1. (pg. 63) Represent data in tables and graphical displays to describe typical weather conditions expected during a particular season. 3-ESS3-1.(pg. 65) Make a claim about the merit of a design solution that reduces the impacts of a weather related hazard. SS2.4.2 Identify tools and technologies that make life easier (e.g., cars for getting one place to another, washing machines for washing clothes, or flashlights to see in the dark). SS2.5.3 Use the human features of a community to describe what makes that community special (e.g., cultural, language, religion, food, clothing, political, economic, population, and types of jobs in the area) and why others want to move there or move away from there. SS2.5.4 Identify how people may adjust to and/or change their environment in order to survive (e.g., clothing, houses, foods, and natural resources). SS5.5.2 Explain how physical features, patterns, and systems impact different regions and how these features may help us generalize and compare areas within the state, nation, or world. SS12.5.2 Describe regionalization and analyze how physical characteristics distinguish a place, influence human trends, political and economic development, and solve immediate and long-range problems. Gather clues from the latest research on ‘earliest’ sites in the Americas to critically analyze data and hypotheses surrounding man’s first arrival to the New World. 4-ESS2-2. (pg. 81) Analyze and interpret data from maps to describe patterns of Earth’s features. MS-ESS3-4. (pg. 163) Construct an argument supported by evidence for how changes in human population and per-capita consumption of natural resources impact Earth’s systems. SS5.6.4 Identify the difference between primary and secondary sources. This course combines key aspects of our ‘Rocking the Archaeology’ Program with hands-on activities or demonstrations to serve as an exciting stand-alone class that highlights ancient tool technology, production, and trade. Flint knapping Demo—Watch our demonstrators transform a plain old rock into a beautiful arrowhead in no time at all. Making Arrows— Hide glue, turkey feathers, sinew, and arrowheads—the works! Atlatl throwing—can you imagine taking down a bison by yourself with stone weapons? See just how hard it was to use the ancient throwing spear. K-2-ETS1-2. ( pg. 20) Develop a simple sketch, drawing, or physical model to illustrate how the shape of an object helps it function as needed to solve a given problem. 4-ESS1-1. (pg. 79) Identify evidence from patterns in rock formations and fossils in rock layers to support an explanation for changes in a landscape over time. SS.5.4.2 Describe how tools and technology makes life easier; describe how one tool or technology evolves into another (e.g., telegraph to telephone to cell phone or horse-drawn wagon to railroad to car); identify a tool or technology that impacted history (e.g., ships allowed for discovery of new lands or boiling water prevented spread of disease). SS5.5.2 Explain how physical features, patterns, and systems impact different regions and how these features may help us generalize and compare areas within the state,nation, or world. Already familiar with archaeology? Looking for the next level in scientific and historical analysis? Great. Time to get technical. These are great additions to the introductory course for higher-level students or for groups looking for an ongoing project-based approach. Understanding Context and Stratigraphy—Explore how sites are formed, how layers of soil build up over time, and how archaeologists study relationships between artifacts and their surroundings to paint a clearer picture of the past. A layered (and edible!) stratigraphy cake is a great optional addition to this program. Aging the Past—How do we know the age of a site or artifact? Great question. Reconstructing Food and Diet – Learn about the original Paleodiet by exploring the techniques used to study animal bones, plant remains, and chemical residues embedded on ancient artifacts. A great hands-on activity to make this lesson a stand-alone class? Spice Grinding on traditional grinding stones! Who owns the past? Ethics and Stewardship – What should you do if you find an artifact? How do you decide between building a new mall and saving ancient site? The ethics of archaeology are difficult and requires students to think critically about multiple perspectives to a single issue. 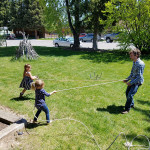 Rocking the Archaeology: Local stone resources and tool production –Native Americans in the Greater Yellowstone Area relied heavily on stone to produce tools. Geology teaches us why certain rocks can only be used to create certain artifacts and physics shows us how a block of rock can become a beautiful, thin, razor-sharp tool. Archaeology uses these rocks to demonstrate how people moved across and interacted with the landscape. Archaeologists do what?! 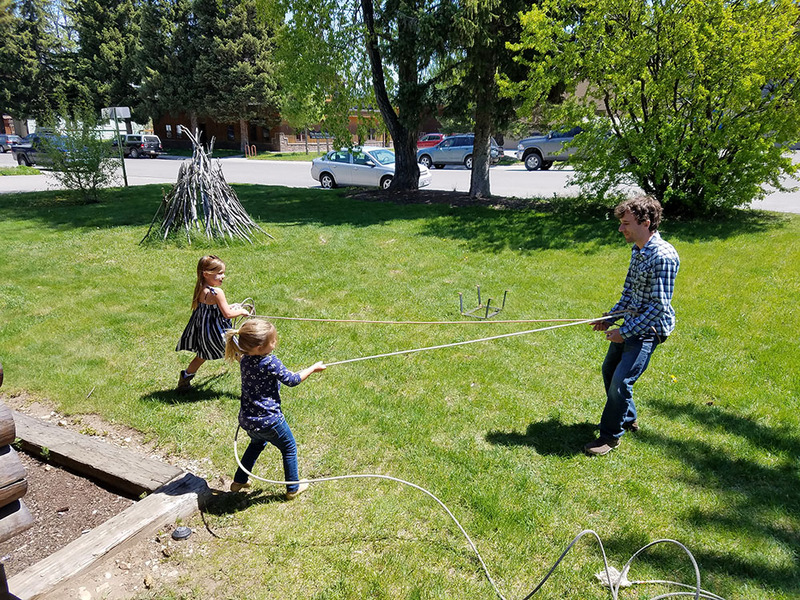 Subspecialties in archaeology – When it comes to studying humans in the past, the sky’s the limit. Embrace your inner curiosity and learn about how we study ancient music, ancient shipwrecks, what the ancients thought about stars, how the first tools were invented, what rock art really means, and more. 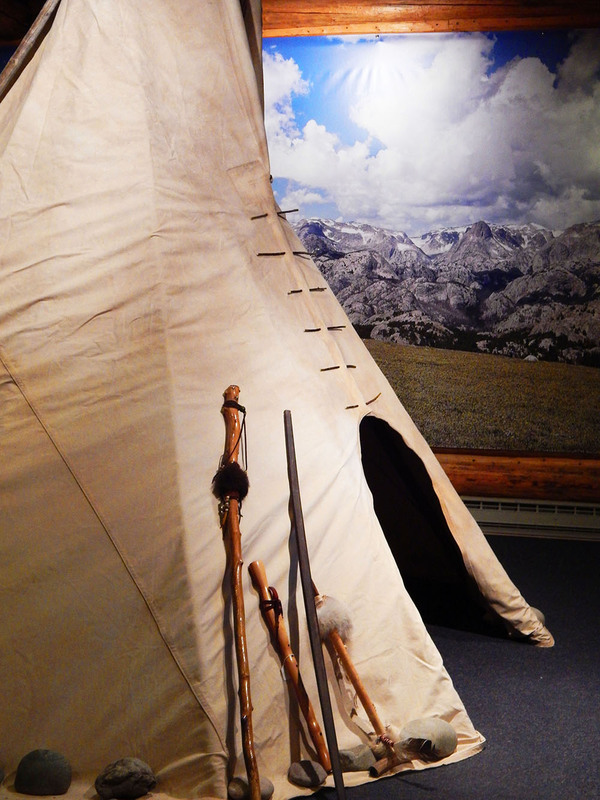 Learn how the first homesteaders made their harrowing journey out west before settling in Jackson Hole. This lesson begins by designing a supply shopping-list with limited money and weight before heading over to our Trading Post to gather provisions. Think it’s easy to pack up all your belongings and supplies for a 6-month covered wagon journey to uncharted territories? Come find out. K-ESS2-1. (pg. 14) Use and share observations of local weather conditions to describe patterns over time. 3-5-ETS1-2. (pg. 102) Generate and compare multiple possible solutions to a problem based on how well each is likely to meet the criteria and constraints of the problem. SS5.3.1 Give examples of needs, wants, goods, services, scarcity, and choice. SS5.3.4 Explain the roles and effect of money, banking, savings, and budgeting in personal life and society. SS5.5.3 Describe the human features of an area (e.g., language, religion, political and economic systems, population distribution, and quality of life), past and present settlement patterns (e.g., American Indians and the Oregon Trail), and how ideas, goods, and/or people move from one area to another. A big winter hit! Can you imagine how people lived in Jackson before modern heating, puffy jackets, and fiberglass skis? This lesson showcases amazing historical photos and real artifacts needed to adapt to winter life. SS5.5.4 Describe how the environment influences people in Wyoming and how we adjust to and/or change our environment in order to survive (e.g., natural resources, housing, and food).